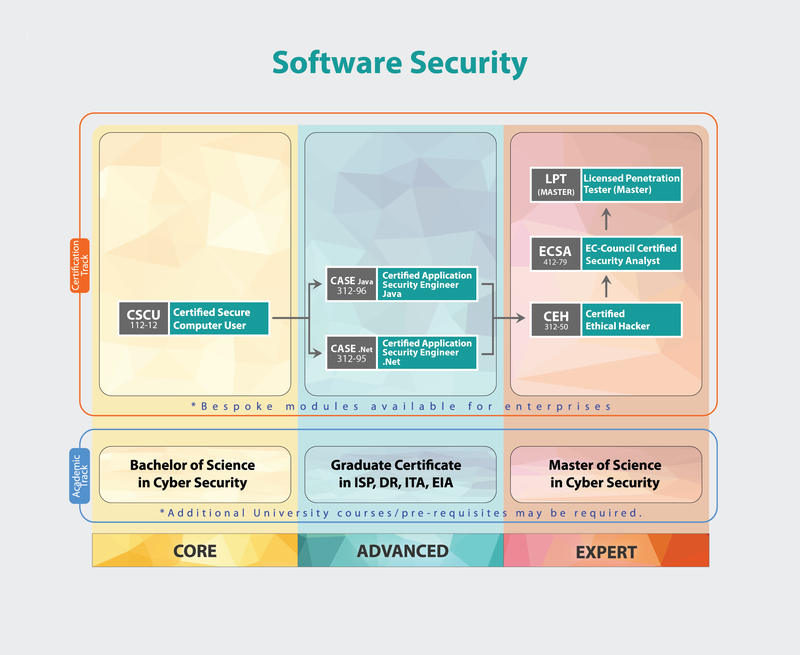 The Certified Application Security Engineer (CASE) credential tests the critical security skills and knowledge required throughout a typical software development life cycle (SDLC), focusing on the importance of the implementation of secure methodologies and practices in today’s insecure operating environment. The CASE certified training program was developed to prepare software professionals with the capabilities that are expected by employers and academia globally. It is designed to be a hands-on, comprehensive application security training course to teach software professionals to create secure applications. The training program encompasses security activities involved in all phases of the secure SDLC: planning, creating, testing, and deploying an application. Unlike other application security trainings, CASE goes beyond just the guidelines on secure coding practices and includes secure requirement gathering, robust application design, and handling security issues in the post development phases of application development. This makes CASE one of the most comprehensive application security certifications for secure software development on the market today. It’s desired by software application engineers, analysts, and testers from around the world and is respected by hiring authorities. .NET Developers with a minimum of 2 years of experience and individuals who want to become application security engineers/analysts/testers, and individuals involved in the role of developing, testing, managing, or protecting wide area of applications.